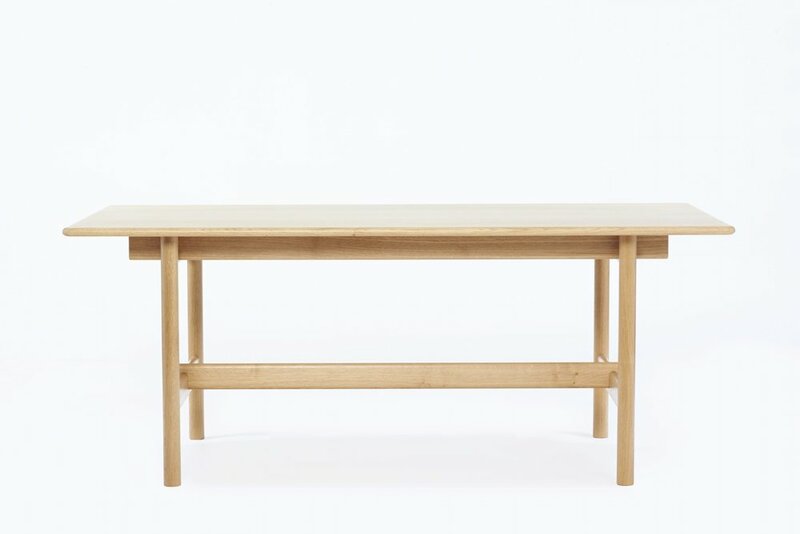 The Oxbow dining table has a refined classic aesthetic, designed to compliment the Oxbow chair. 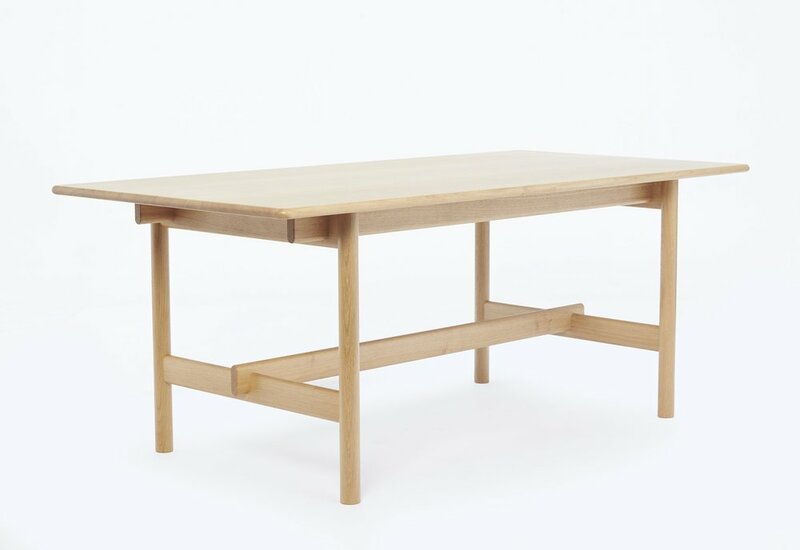 Produced from the finest hand selected European oak, the Oxbow table features a hand shaped surface with a sturdy frame structure, detailed with a half lapped support rail. 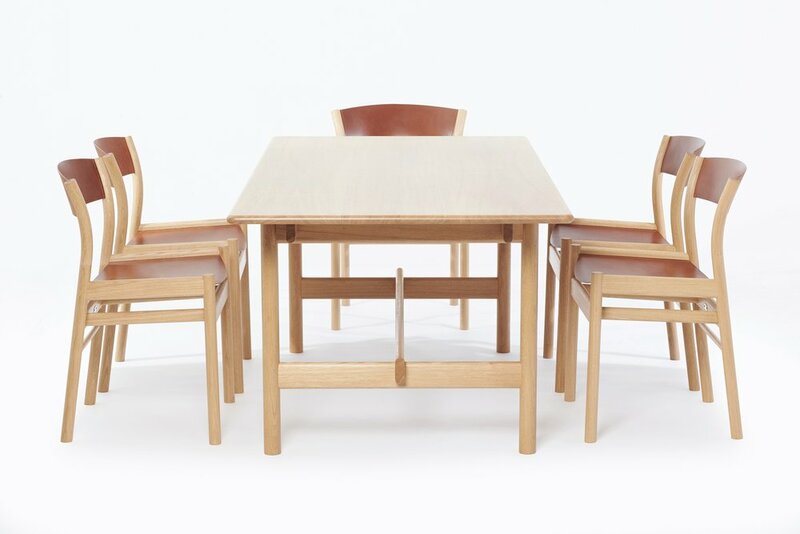 Available as a six or eight seat table. If you wish to place an order, please get in contact for information on pricing and delivery. 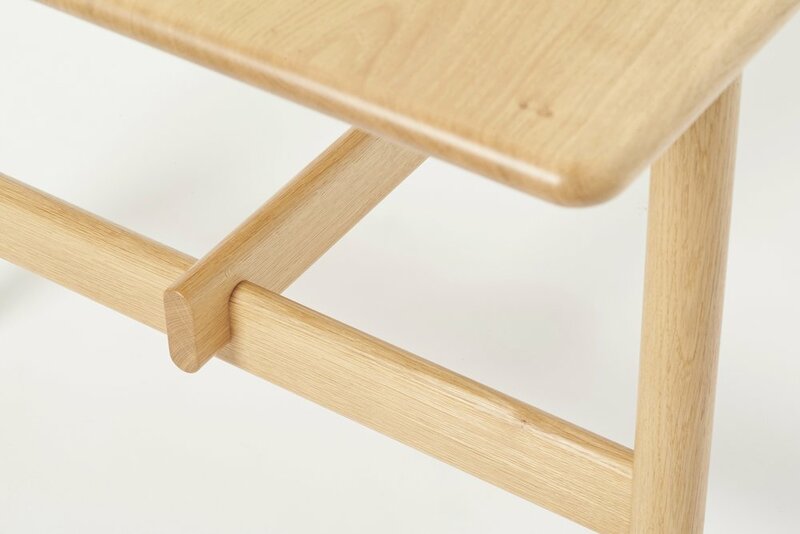 As every piece is handmade to order, specific requirements can be met, and clients are encouraged to visit the workshop to see their dining table being hand crafted.